Peer-to-peer (P2P) lending platforms match individual investors with individual borrowers, cutting the banks out of the process. Also known as social lending or crowd lending, P2P lending companies collect a service fee from investors and an origination fee from borrowers. After a loan has been funded, the money is released to the borrower by a partner bank and the lending platform issues a note to the investor as a form of security. Peer-to-peer lending offers borrowers and investors many advantages over traditional lending. For investors, it offers higher returns than other savings and investment products. For borrowers, it offers potentially better rates than those offered by traditional lenders. On the flipside, peer-to-peer lending does present some risk for investors and, as a result, P2P lending platforms tend to impose high minimum-credit requirements on borrowers. 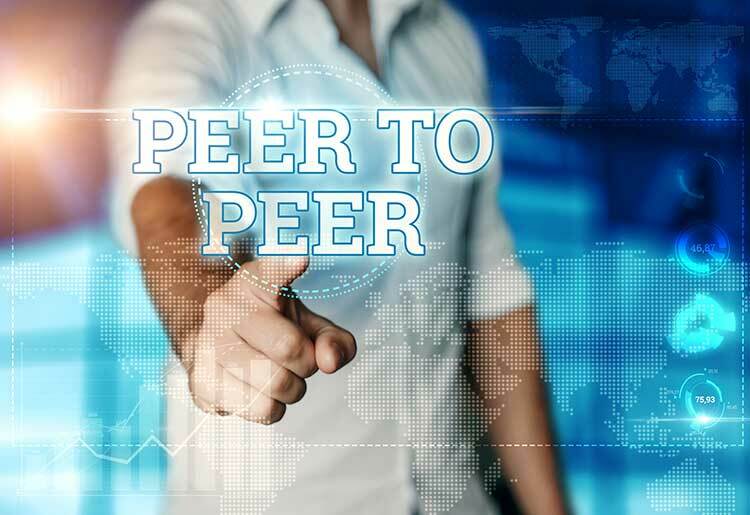 Although peer-to-peer lenders have justifiably earned a reputation for low rates, borrowers should be aware that origination fees of 2%-6% still apply. Founded in 2005, Prosper is the longest-running P2P lending platform in the United States (and worldwide). It offers unsecured personal loans for a range of purposes, including debt consolidation, home improvement, short-term and bridge loans, vehicle purchase, and small business. With Prosper, loans are funded and transferred to the borrower’s account within 1 to 3 days following approval. All its loans have fixed rates, with a choice of repaying in 3 years or 5 years. Origination fees range from 2.41% to 5%, but Prosper provides full transparency about this before you sign on your loan. Thankfully, there are no other fees to worry about aside from late payment penalties; that means no prepayment fees and no transfer fees. To qualify, borrowers must have a credit score of at least 640, debt-to-income ratio of less than 50%, positive income, and no active bankruptcies. Successful applicants are given a Prosper rating, with AA being the highest. LendingClub is perhaps the largest peer-to-peer lender in the US, trading on the New York Stock Exchange and originating an average of more than $1.6 billion worth of unsecured personal loans per year since its founding in 2006. It facilitates unsecured personal loans for a variety of purposes such as debt consolidation and home improvement. In addition, it issues small business loans and auto refinancing. It typically takes 3 days to start an application, get approved and receive funds. All loans on LendingClub’s platform are unsecured loans consisting of interest rates plus additional origination fees ranging from 1% to 6%. There are no prepayment penalties, and the only other fees some borrowers should be aware of are a 5% late fee plus small fees for unsuccessful payment. LendingClub has several cool features worth knowing about. For example, you can add a joint applicant to a loan application, although both parties must go through a check to get approved. Also, its Hardship Plan lets borrowers freeze their loan for up to 3 months if they find themselves unable to make loan payments on time. Upstart was founded in Silicon Valley in 2012, making it a relative newcomer to the world of P2P lenders. Created by a group of ex-Google execs, it developed an income and default prediction model to determine the creditworthiness of loan applicants. In addition to looking at an applicant’s credit score and income, it also looks at academic variables such as college attended, subject major, GPA, and standardized test scores. Upstart loans can be used for a range of purposes, including: refinancing credit cards or student loans; paying off personal expenses such as medical bills or home improvement; purchasing a car or other expensive products; or tuition fees for college, grad school, or professional courses. Peerform has been around since 2010, catering to borrowers with fair credit and better. Its automated Peerform Loan Analyzer assesses applicants by credit score and other factors such as debt-to-income ratio and the number of recent credit inquiries into the borrower’s credit history. By automating much of the assessment process, Peerform is able to approve and fund borrowers more quickly and easily than many traditional lenders. On the flipside, the range of loan amounts is narrower than some of its rival P2P lenders, and borrowers are locked into a loan term of 3 years. The rise of peer-to-peer lending has been good for borrowers. It brings more competition to the lending industry, giving borrowers a viable alternative compared to the banks. Both P2P lenders and traditional lenders have their benefits. While one borrower might get a better rate at a bank, another might get a lower rate using P2P lending. That’s why it’s always important to compare. If you have a credit score of at least 600-640 and tick some of the other boxes P2P lenders look at—like low debt-to-income ratio, solid GPA, or positive monthly income—then a P2P loan might just be the right solution for you. Absolutely. American P2P lenders are regulated by the US Securities and Exchange Commission, and must get licenses in each state in which they operate. The P2P lenders listed on this page are all registered with the SEC and all publish details about state licenses on their website. Furthermore, each of them issues loans through a partnering FDIC-insured bank. For example, all loans originated through Prosper are made by WebBank, a Utah-chartered Industrial Bank. Each lender is subject to the regulations of the state in which it operates, and because rules can change, so too can geographic availability. For example, LendingClub accepts borrowers in all states except Iowa. It accepts investors in all states except Ohio, Pennsylvania, North Carolina, and New Mexico. Do P2P lenders really offer better rates? It depends. Most P2P lenders look beyond credit score, assessing borrowers according to a range of factors, including debt-to-income ratio and monthly income. Therefore, a borrower with a fair-to-good credit score, but otherwise impeccable credentials, could potentially qualify for a much lower rate than with a bank.